Victorian State Election 2018 – Meet the Aussie Battler Party! Update, November 15, 2018: Well, they certainly have developed. I don’t know when it happened, but the Aussie Battlers have made sweeping changes to their policies. No longer do they want to feed roosters to the starving and house the homeless in shipping containers, and now it appears that they are Tough On Crime and don’t like Immigrants. I haven’t had a chance to look at them again properly, but will do my best to review them before the election. In the meantime, you can read an article about the new policies here. But be wary. This is definitely a bait-and-switch, and I’m wondering how many of their candidates were aware that this would happen. Themes: Common sense, Aussie Battlers, affordable housing and homelessness, ‘the real Australia’. Patriotic and focused on regional Victoria. Pro mouthguards! Oh, this is one hot mess of a party. They have completely different tickets in each region, and the only real common ground is that they always put Labor, Liberals and the Greens last. But always in a different order. Their top five varies wildly with the Animal Justice Party taking top billing in Northern Metropolitan, and the Shooters and Fishers getting it in Western Metropolitan. In South-Eastern Metropolitan, alternate anti-family-violence candidates with the LDP and the Shooters and Fishers. Their favourite party to support is Sustainable Australia (another party who I find very hard to read), which makes their top five on 7 out of 8 tickets. Derryn Hinch gets into the top five in 6 out of 8, and the Shooters and Fishers and Liberal Democratic Party both get there 5 times. Transport is also important. But honestly, everyone seems to turn up in their top five at least once, except for the Voluntary Euthanasia Party and the Victorian Socialists. Even the Australian Liberty Alliance is in there. It feels to me like the pro-gun parties are getting a higher than statistically-probable level of top billing, if this were all random, but there are kind of a lot of pro-gun parties this year, and I don’t know how to do statistical analysis, so take that for what it’s worth. There is some evidence that they might be preferencing the small parties that they expect to be popular in that region – the Shooters and Fishers or the ACP in regional areas, Hudson for Northern Victoria in the north, the Animal Justice Party in the vegan-friendly northern metropolitan region. But it could also be that they have no clue what they are doing, and I find it unsettling that I can’t tell. Basically, if you are going to vote for this party, do it below the line. You don’t know where your vote might end up otherwise. When I wrote my previous post in December, I really didn’t expect to be away from this blog for so long. Unfortunately, a combination of a wrist injury, work commitments, and a sort of dullness of heart that made even the idea of writing exhausting took their toll. Also, it’s very hard to pick just one political topic at present. There seems to be a constant barrage of new, most of it either infuriating or depressing. And I’m not going to write about any of that today, either, though I do hope to be back here more soon. 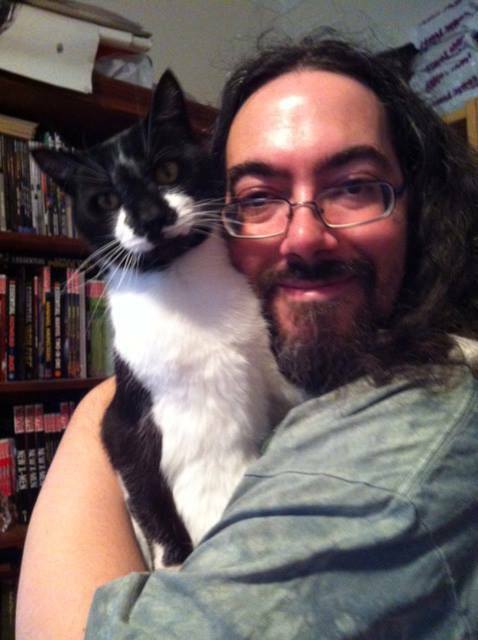 Today, I want to celebrate the life of a most excellent cat. Nothing bad ever came of scratching a fluffy tummy like this one. This is not a post about politics. It is not a post about poetry, either, not that I’ve done one of those for a while. 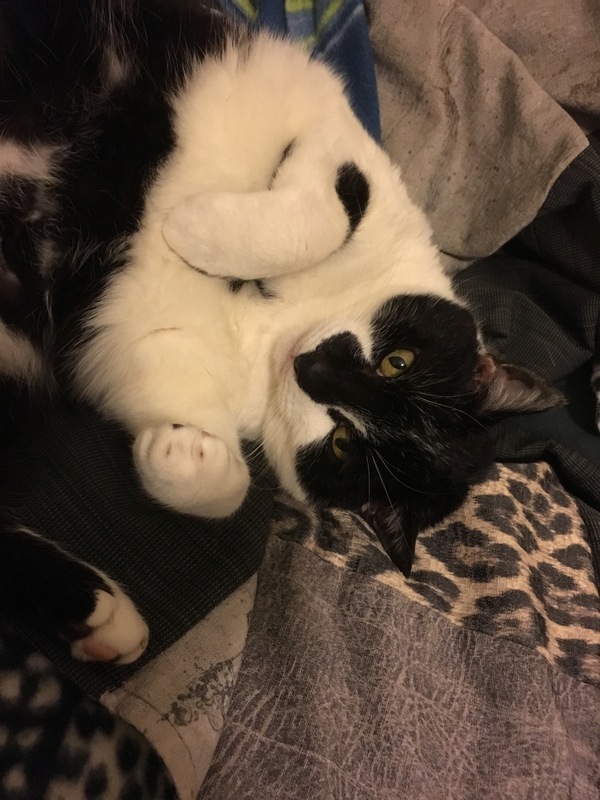 You see, our beautiful, beloved, black and white cat, Mystery, slipped out of the house a few days before Christmas, and we have not seen her since. Given her age, her health (she was on medication for thyroid issues), and her deep affection for my husband (there is no way that Mystery wouldn’t have come back to her daddy if she had been able to do so), we have to presume that she is dead. We have, of course, letterboxed, and put up posters, and rung vets and visited shelters, and done all the things that one does when a pet goes missing, and we will continue doing so for a little longer, but realistically, we know her chances were never high. If she hasn’t turned up by now, she isn’t going to. I realise that it is self-indulgent to write Mystery’s obituary here, bracketed by my thoughts on microparties and asylum seekers and the current government, but I figure that thanks to the National Library Archive, this blog is the one thing in my life that I know will survive me. Mystery was an excellent cat, and deserves to be remembered for posterity. Also, I kind of like the idea that some future student, diligently researching The Role of Microparties in Australian Government in the 21st Century, or the Decade of The Seven Prime Ministers, or The Rise and Fall of Blogging in the Early 21st Century will run across this post and be bemused by it.